I've been working on SEO - or trying to. My goodness it's boring. 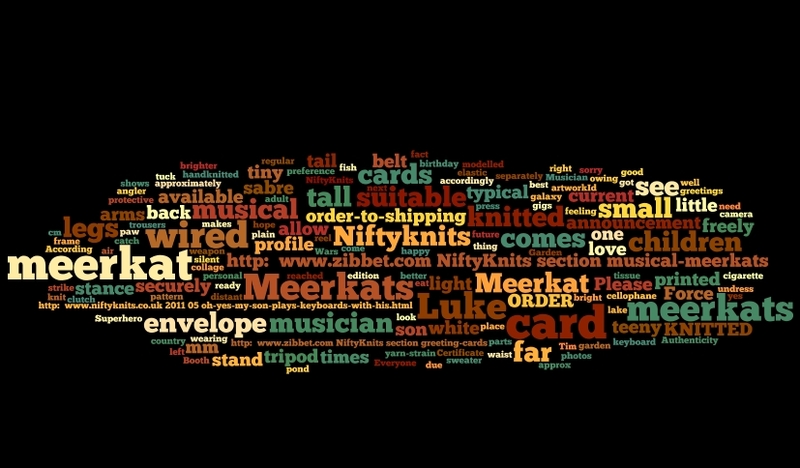 I did find one tool that made it more fun though - I used it ages ago but had forgotten all about wordle. Some words are bigger: that's because I've used them more often. 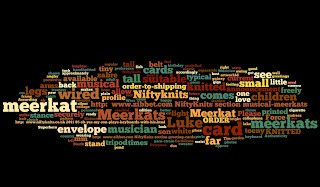 No surprise that "meerkat" figures loud and large, but I was surprised by "cigarette" and "perfume" top and centre. They've been picked up from my announcement that my knits will not smell of pets or tobacco or perfume. 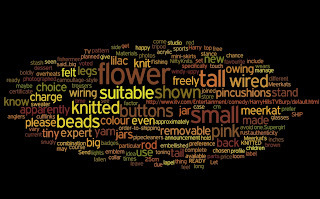 "Flower" is looming large because I've let my folksy shop dwindle rather, only 20 or so items here now - and it's favouring the flower pincushion, probably because I published free instructions. I suspect the Zibbet feed is working on different information, because it's showing my section names. 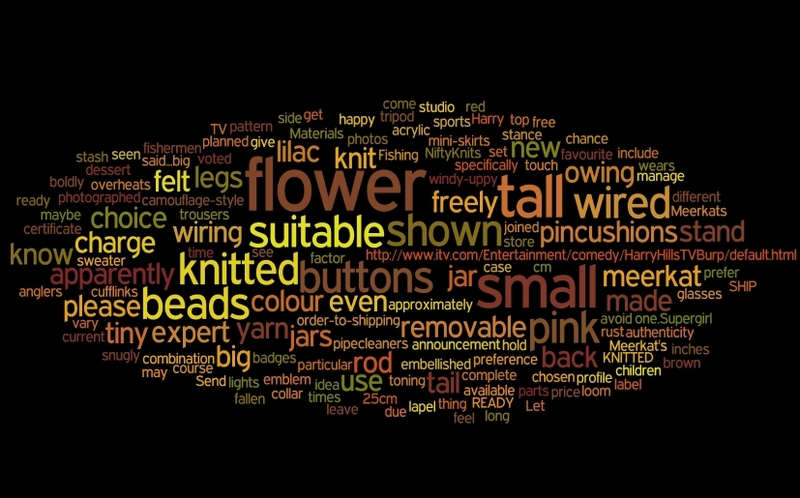 I'm puzzled by "yarn-strain", bottom centre. What on earth was I talking about? 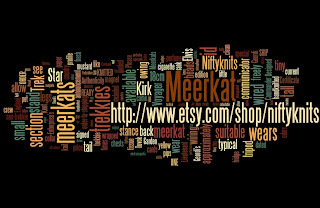 Make your own wordle here. 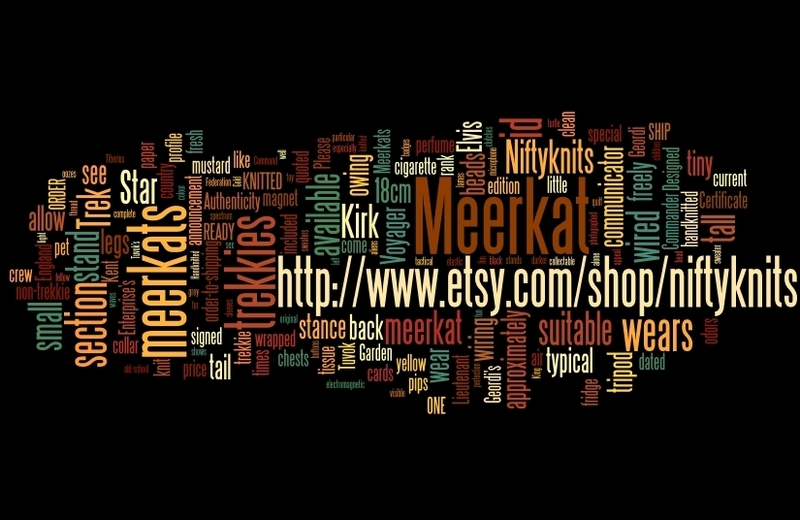 In case you're wondering how I put pics of my wordles on here, I used "print screen" to turn them into jpg files.